Prominent & Leading Manufacturer from Ludhiana, we offer vibro dryer with separator, vibro dryer machine, trough vibrators, automatic vibratory finishing machine, automatic vibratory dryer and vibro ball burnishing machines. 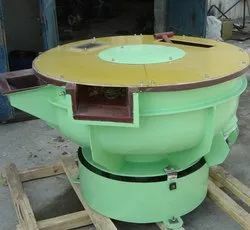 Vibro Dryer With Separator is designed for Stain-free drying and polishing of components immediately after vibratory and centrifugal finishing. The corncob media is used in the machine for drying. The rubbing action of the mass eliminates the calacrious residuals of teh evaporated water deposited on the surface of the parts. The equipment is offered in, both batch and continuous operations. We are enlisted amongst the reckoned names in the industry, offering a wide array of Vibro Drayer Machine. Our entire product range has high tensile strength and is offered in various sizes. Vibro Drayer Machine are durable in nature and can withstand extreme pressure and temperature. Vibro Drayer Machine are used in different industrial applications. Counting on our vast industry experience of manufacturing and supplying a broad gamut of Vibrators we are offering Trough Vibrators that are designed to offer seamless tumbling operations in stone industries. These are capable of tumbling various sizes of stones and tiles. It has of a provision of water inlet for each compartment. It is used for a large array of stones such as marble, granite, limestone, sandstone, and travertine. Our valued clients are offered these at leading industry prices. We are offering a wide array of Vibratory Finishing Machines that are manufactured by using high-end technologies. These are manufactured in various specifications of ceramic capacity, volume, and so forth. These are ideal for polishing metal parts and also facilitate three dimensional vibrating. We maintain rigorous norms of quality that are as per well-defined standards of the industry and strive to offer flawless end products to our valued patrons at industry leading prices. 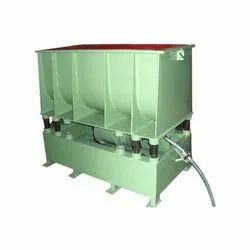 Automatic Vibratory Dryer We take pride ourselves in offering a superior range of Vibratory Dryer Machine, which is fabricated using best grade raw materials that are sourced from reliable vendors in the market. This equipment is offered in, both, batch and continuous operations. 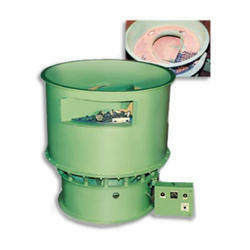 Dryer Vibratory Machine is strongly built with extra Gussets on bowl, higher hp motor & heavy duty spring to withstand. These tested on various parameters. 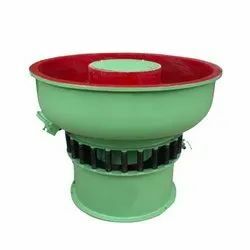 We are manufacturer and supplier of Vibro Ball Burnishing Machines are developed using latest technologies which are available with us in various types and models as per the client's requirement. These machines are fabricated using high grade raw materials. Our range of machines is strictly tested on various parameters before getting into the market. We offer our range of products to our clients at economical price in the market. 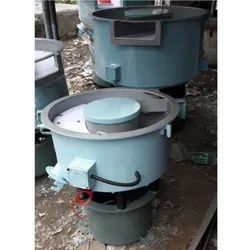 We take pride ourselves in offering a superior range of Vibratory Dryer Machine, which is fabricated using best grade raw materials that are sourced from reliable vendors in the market. This equipment is offered in, both, batch and continuous operations. 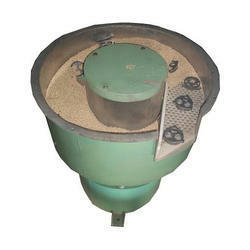 Dryer Vibratory Machine is strongly built with extra Gussets on bowl, higher hp motor & heavy duty spring to withstand. These tested on various parameters.